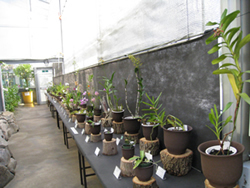 As one of the Tsukuba Botanical Garden's roles, we convey importance of biodiversity of the plant through events, special exhibitions, seminars and school learning activities. Tours of the Garden are also available upon request. Special exhibitions display our collections which usually not exhibited to the public. 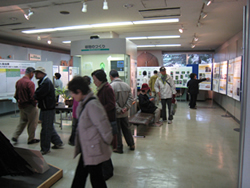 In special exhibitions, visitors can learn knowledge through posters on each theme. 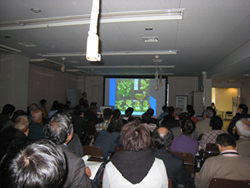 Seminars are held for understanding plants and botany from macro to micro scales. 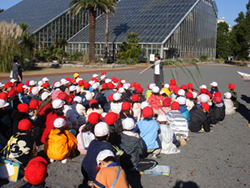 As school learning activities, we guide student groups visiting the Garden. 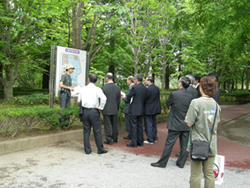 Guided tours by the garden staff (weekday) and volunteers (weekend) are available.